The Mega Tickets listed below are either overstocks, returns or have minor blemishes. Typically there is only 1 available of each. They may not be returned. Prices are 55-70% off. 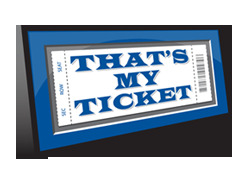 Mini-Mega Tickets - We are discontinuing our current version and will soon be releasing a new version. All the ones we have left in stock are listed below. Prices are 50-80% off. Quantities limited.